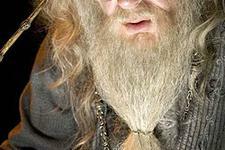 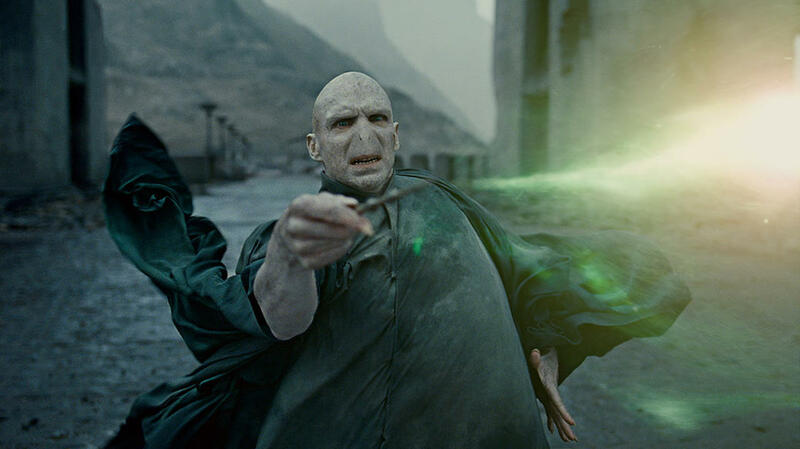 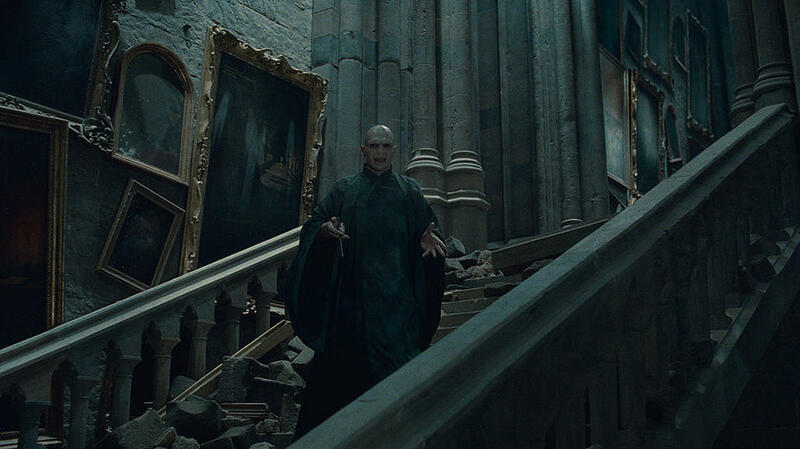 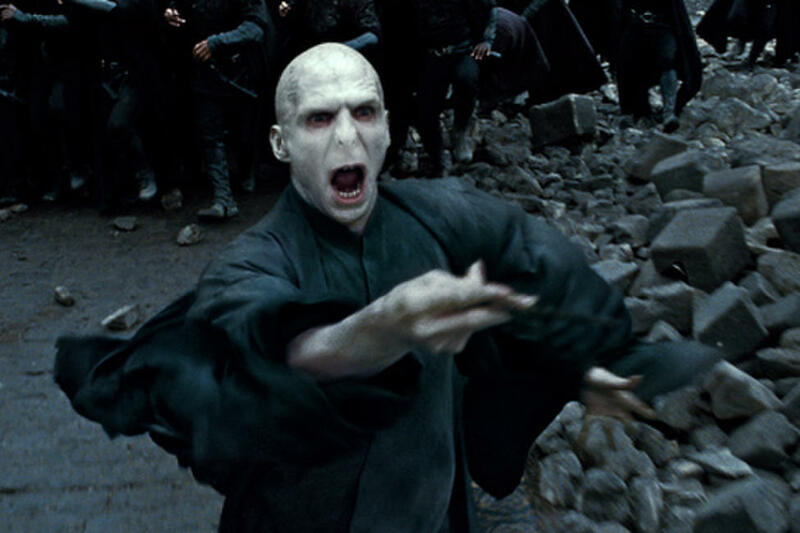 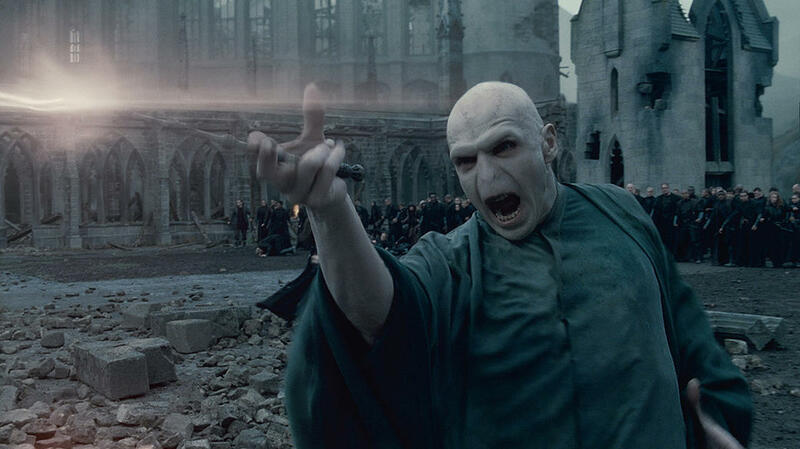 Ralph Fiennes as Lord Vodlemort in "Harry Potter and the Deathly Hallows: Part 2." 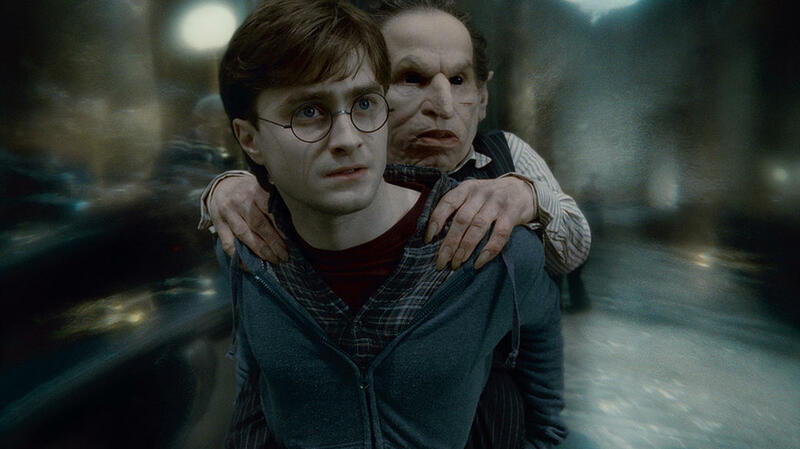 Daniel Radcliffe as Harry Potter and Ralph Fiennes as Lord Vodlemort in "Harry Potter and the Deathly Hallows: Part 2." 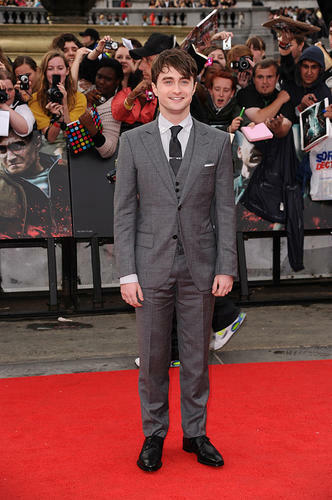 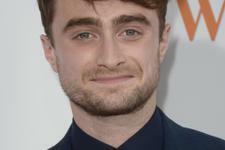 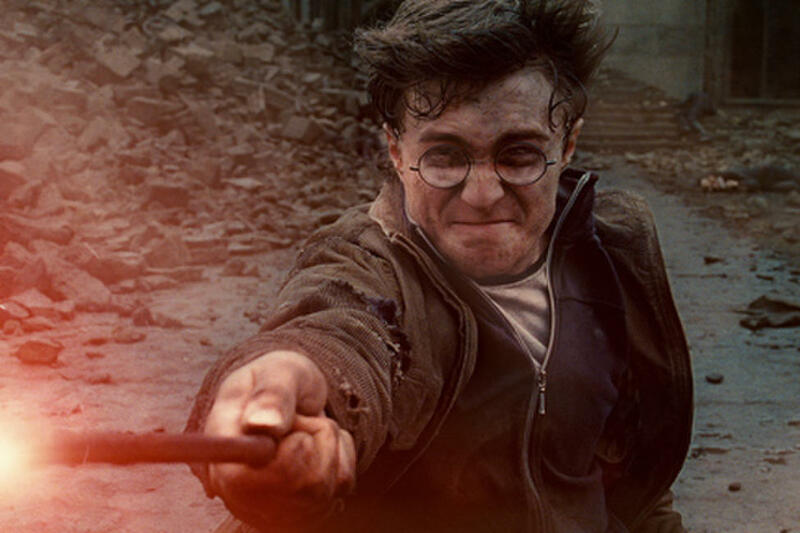 Daniel Radcliffe as Harry Potter in "Harry Potter and the Deathly Hallows: Part 2." 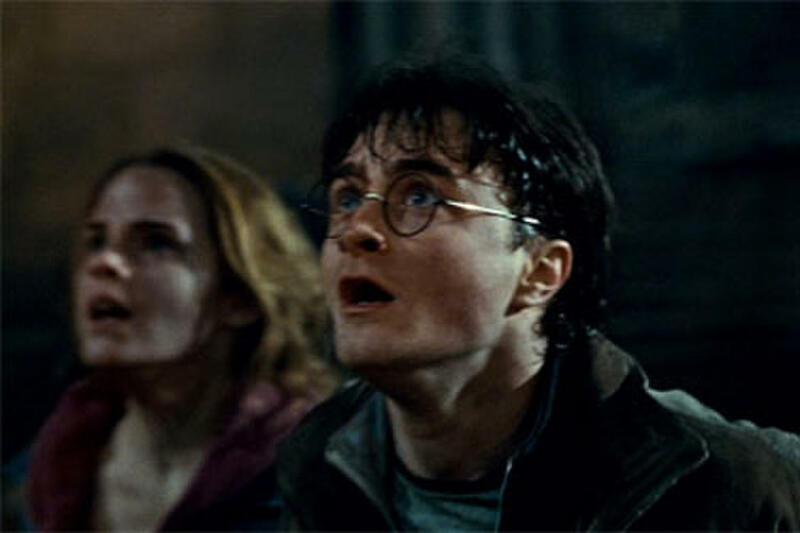 Geraldine Somerville as Lily Potter in "Harry Potter and the Deathly Hallows: Part 2." 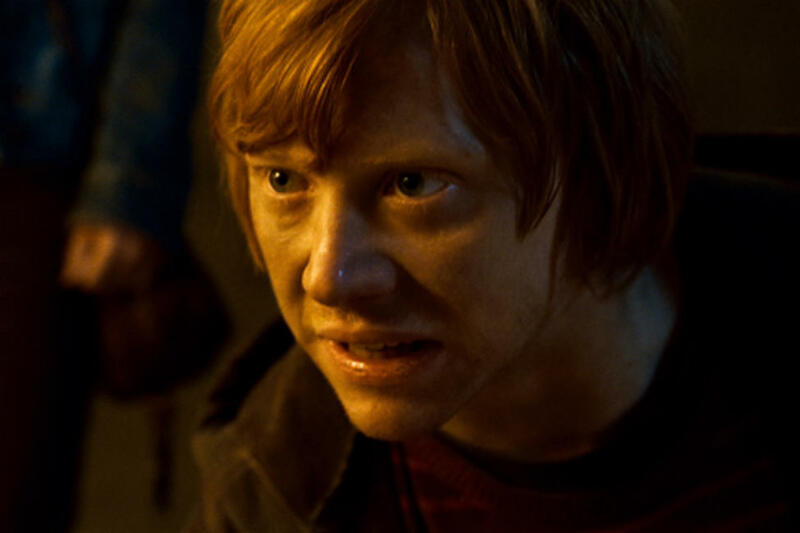 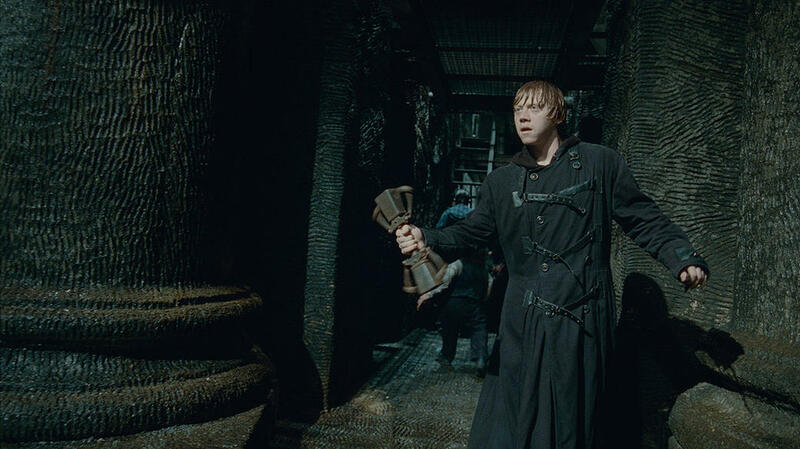 Rupert Grint as Ron Weasley in "Harry Potter and the Deathly Hallows: Part 2." 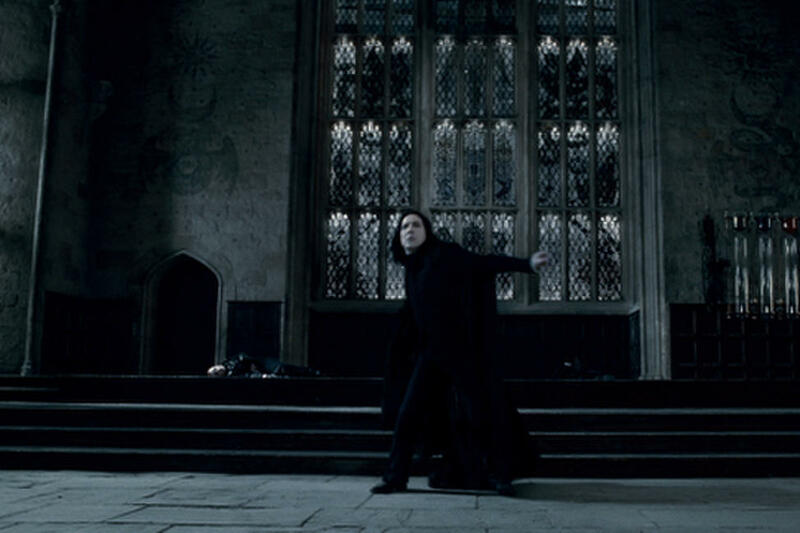 Alan Rickman as Severus Snape for "Harry Potter and the Deathly Hallows: Part 2." 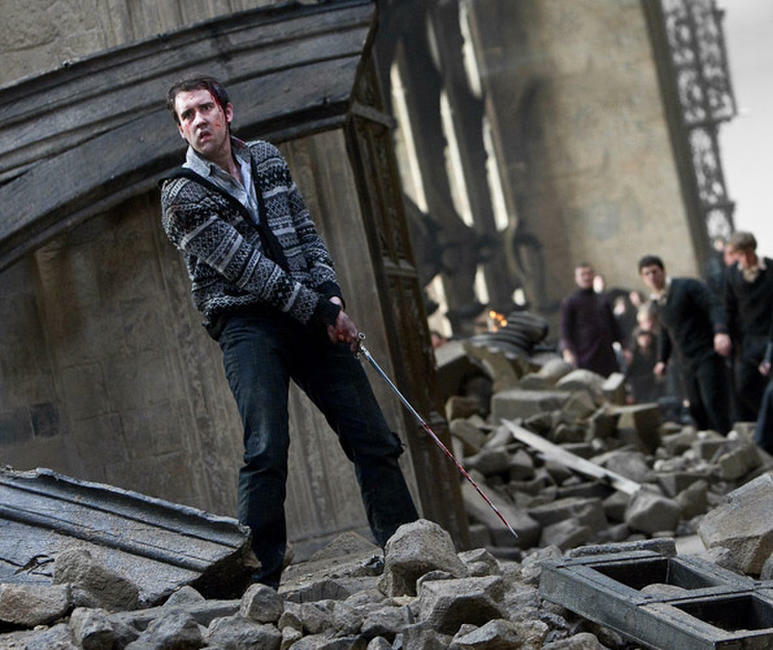 Matthew Lewis in "Harry Potter and the Deathly Hallows: Part 2." 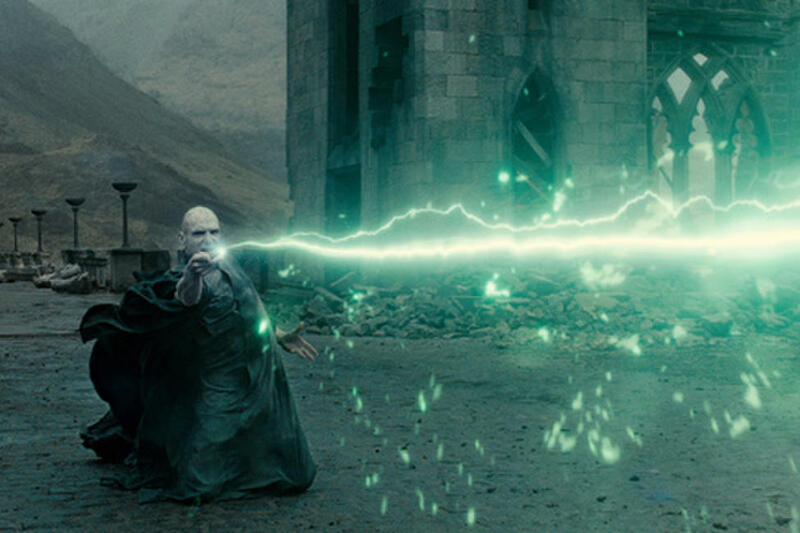 Alan Rickman in "Harry Potter and the Deathly Hallows - Part 2." 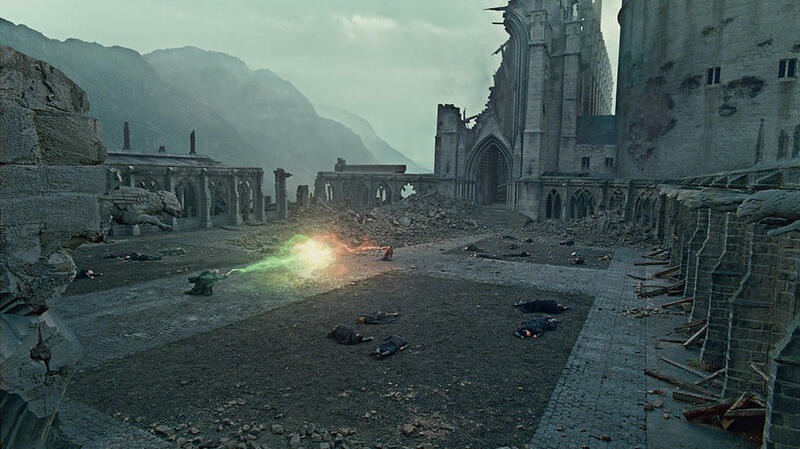 A scene from "Harry Potter and the Deathly Hallows - Part 2." 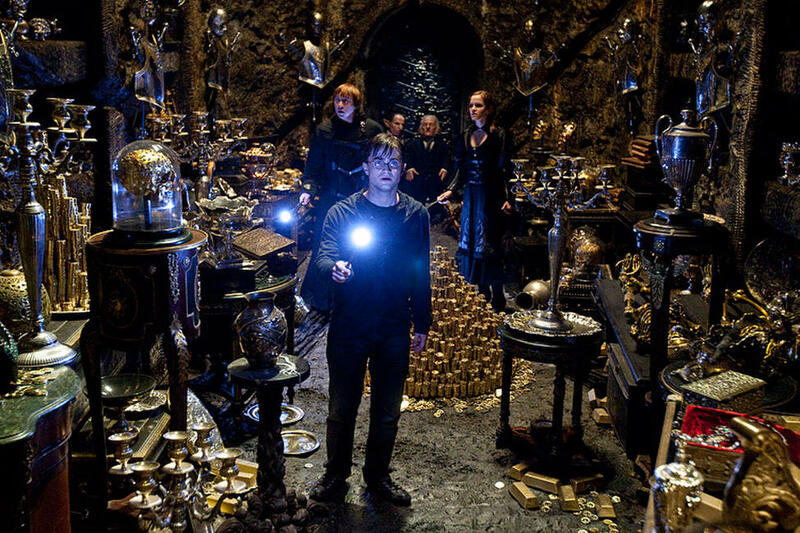 Bonnie Wright in "Harry Potter and the Deathly Hallows: Part 2." 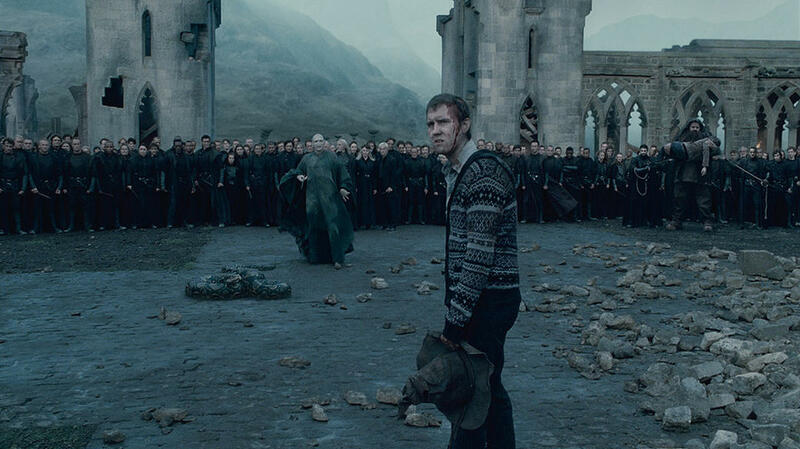 Tom Felton in "Harry Potter and the Deathly Hallows: Part 2." 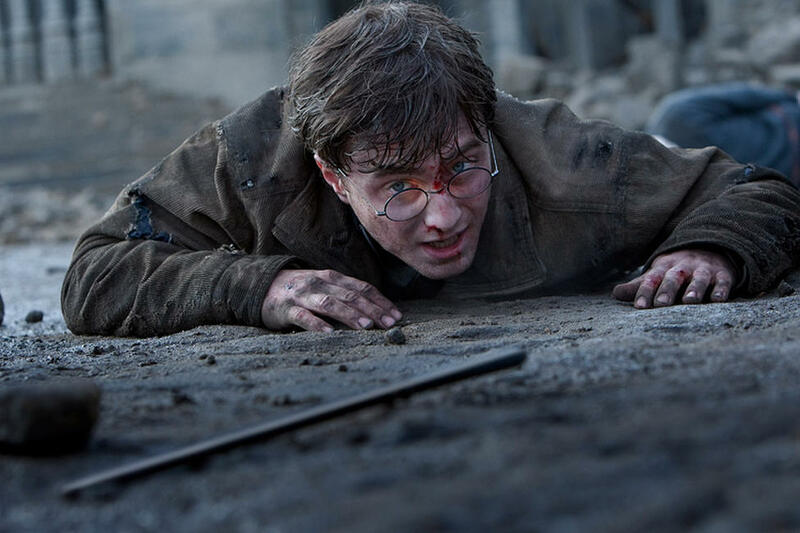 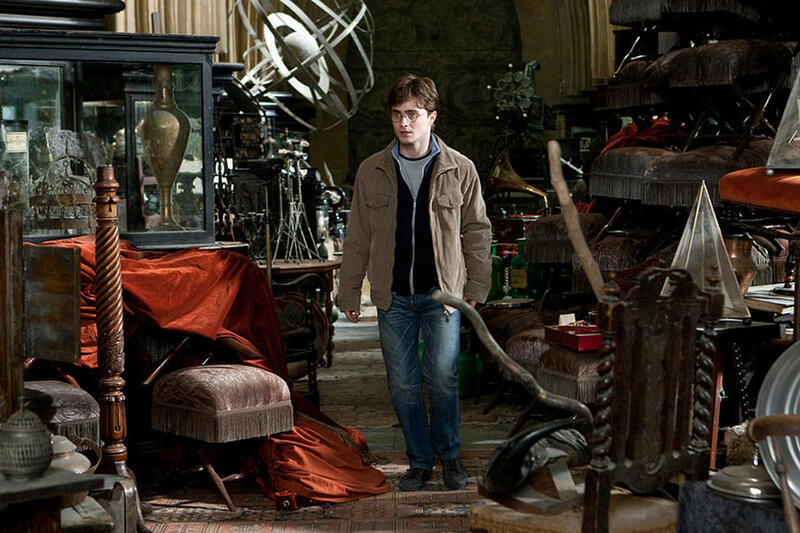 Daniel Radcliffe in "Harry Potter and the Deathly Hallows - Part 2. 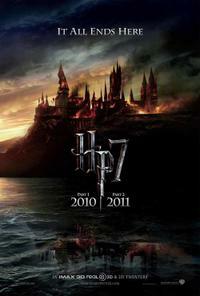 "Daniel Radcliffe and Emma Watson in "Harry Potter and the Deathly Hallows - Part 2." Daniel Radcliffe and Emma Watson in "Harry Potter and the Deathly Hallows - Part 2." 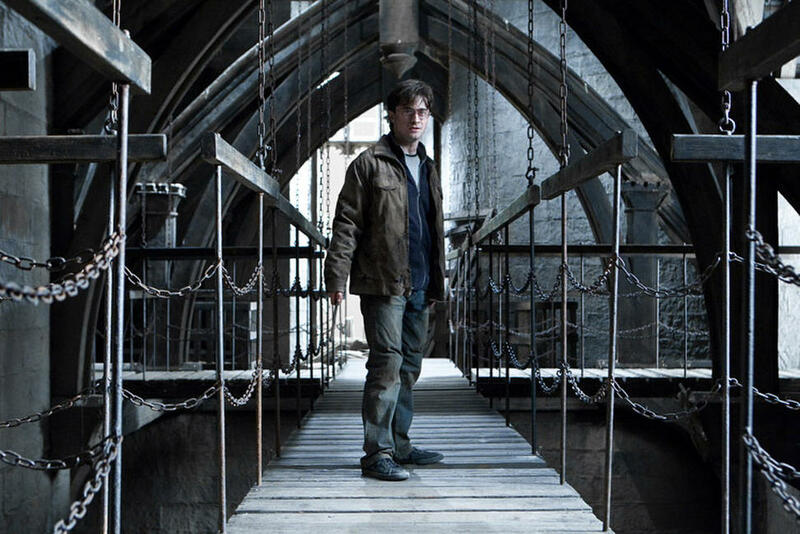 Daniel Radcliffe in "Harry Potter and the Deathly Hallows: Part 2." 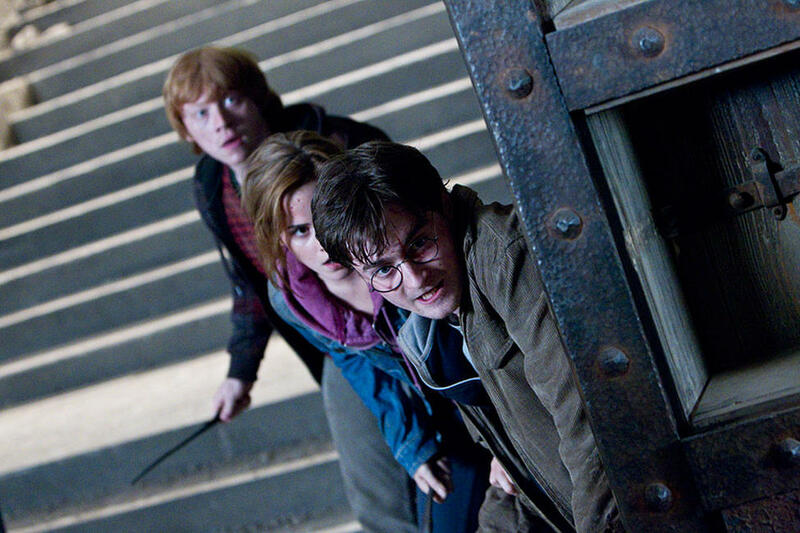 Daniel Radcliffe, Emma Watson and Rupert Grint in "Harry Potter and the Deathly Hallows: Part 2." Rupert Grint, Emma Watson and Daniel Radcliffe in "Harry Potter and the Deathly Hallows - Part 2." 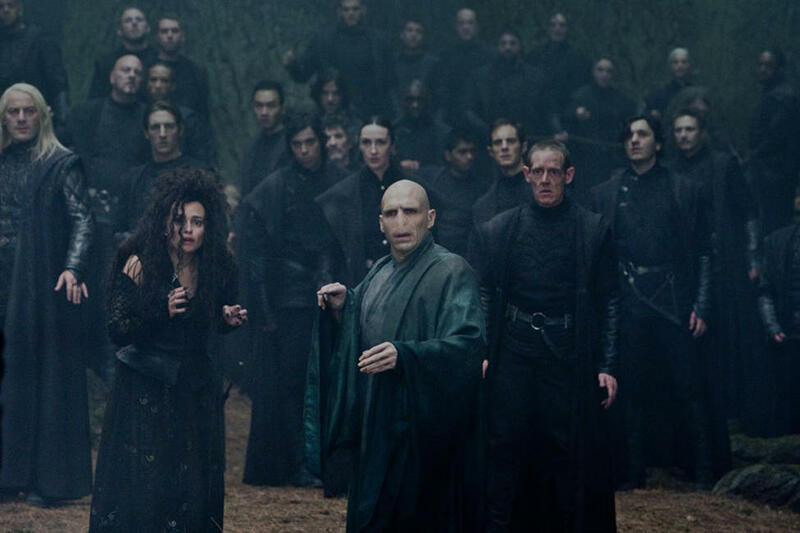 Helena Bonham Carter and Rupert Fiennes in "Harry Potter and the Deathly Hallows: Part 2." 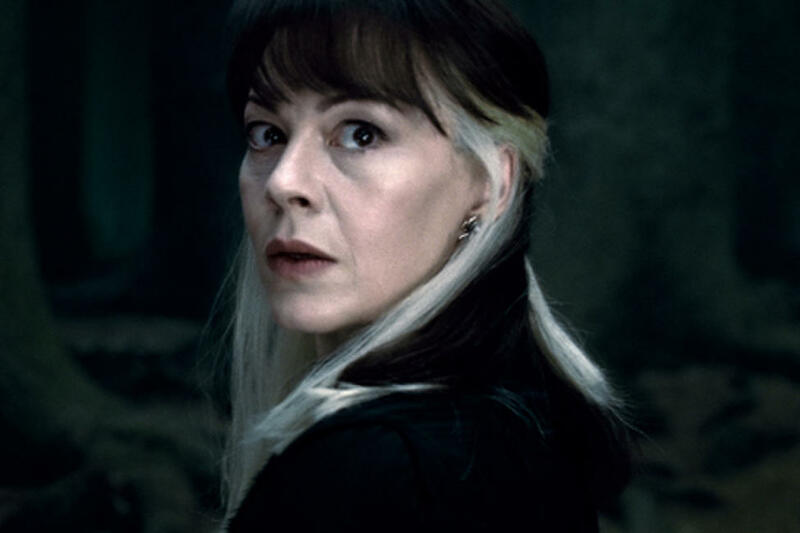 Helen Mccrory as Narcissa Malfoy in "Harry Potter and the Deathly Hallows: Part 2." 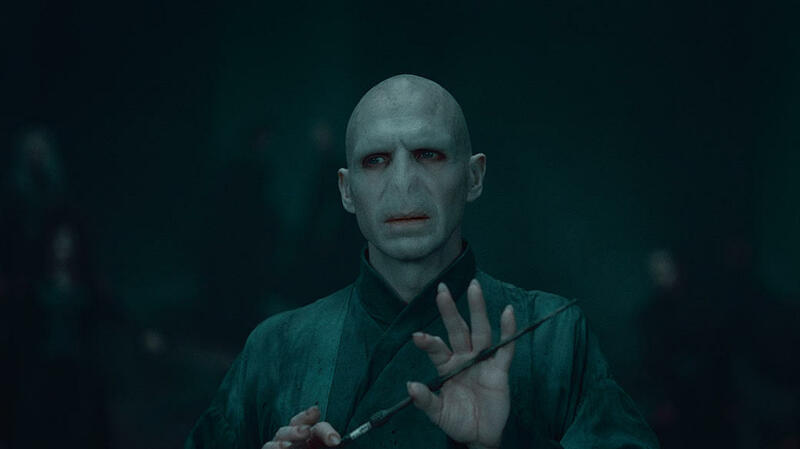 Ralph Fiennes as Lord Voldemort in "Harry Potter and the Deathly Hallows: Part 2." 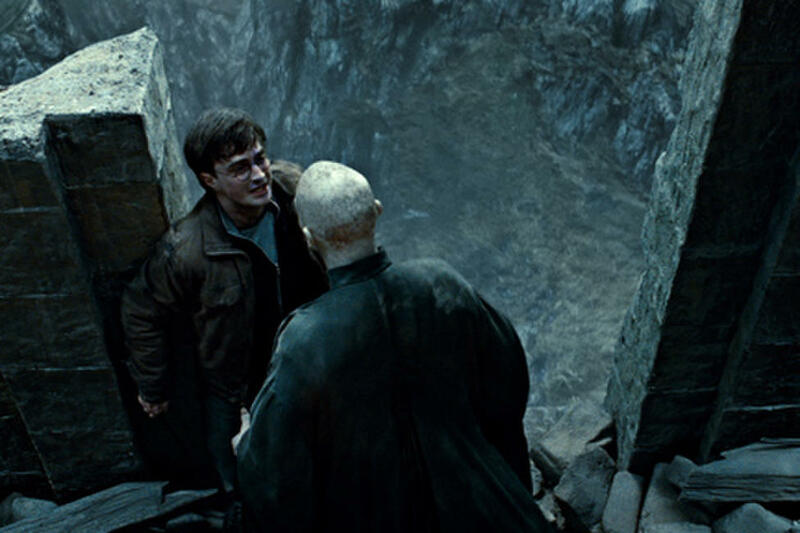 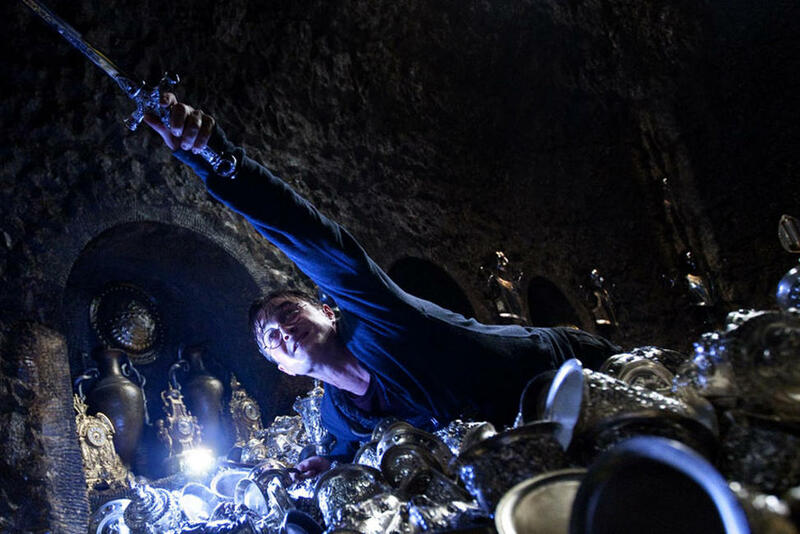 A scene from "Harry Potter and the Deathly Hallows: Part 2." 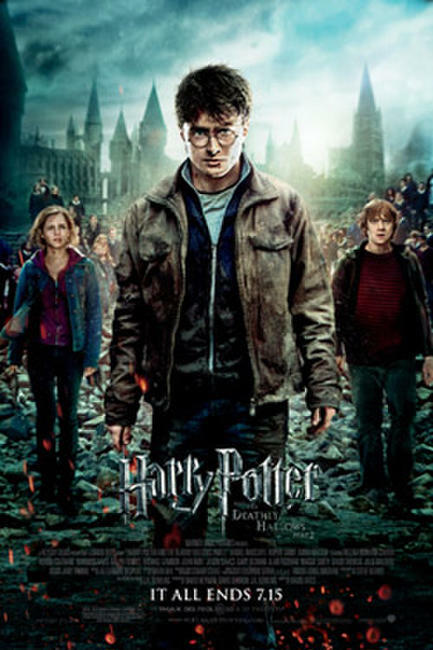 Daniel Radcliffe as Harry Potter, Emma Watson as Hermione Granger and Rupert Grint as Ron Weasley in "Harry Potter and the Deathly Hallows: Part 2." 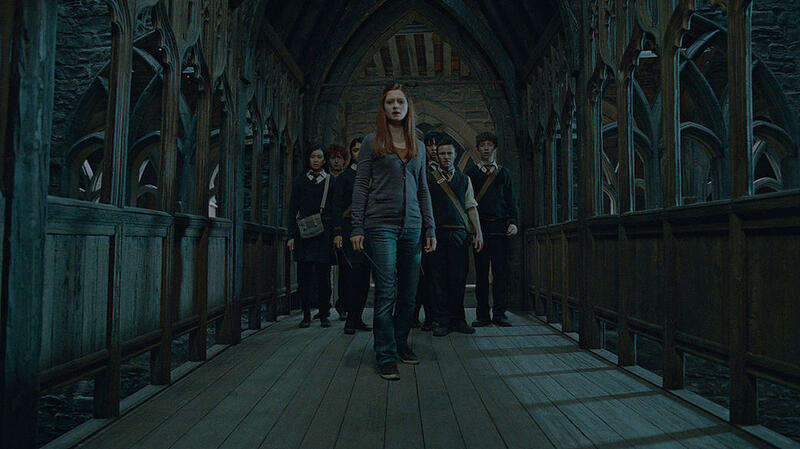 Bonnie Wright as Ginny Weasley in "Harry Potter and the Deathly Hallows: Part 2." 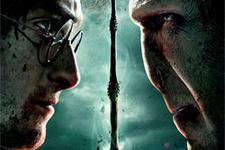 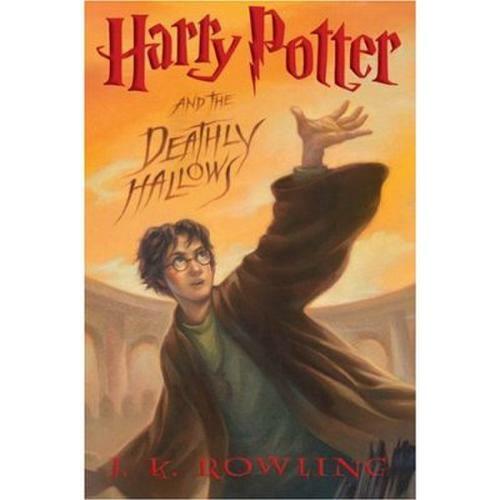 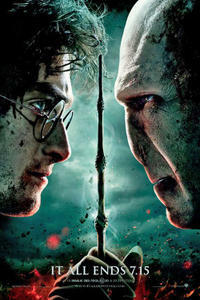 Daniel Radcliffe as Harry Potter and Ralph Fiennes as Lord Voldemort in "Harry Potter and the Deathly Hallows: Part 2." 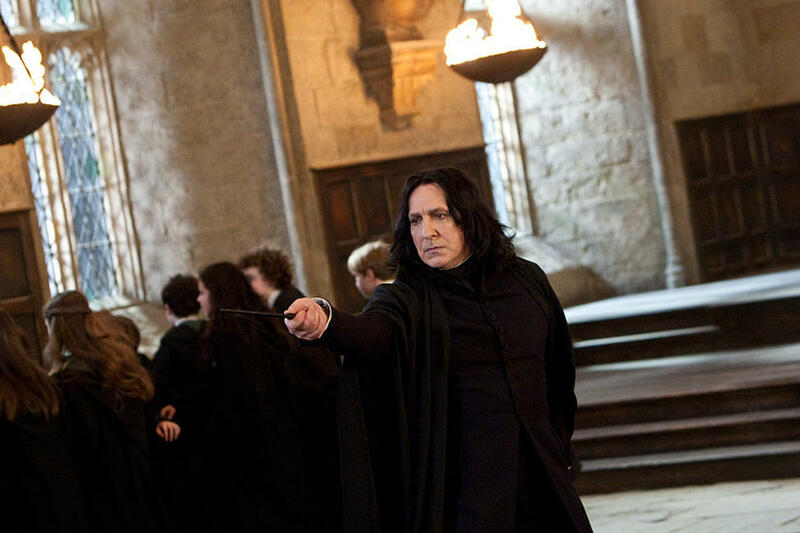 Alan Rickman as Professor Severus Snape in "Harry Potter and the Deathly Hallows: Part 2." 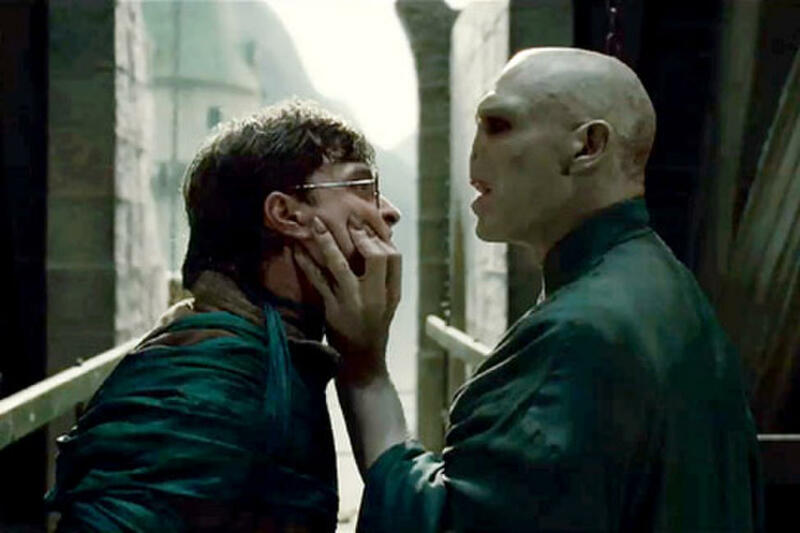 Ralph Fiennes as Lord Voldemort and Daniel Radcliffe as Harry Potter in "Harry Potter and the Deathly Hallows: Part 2." 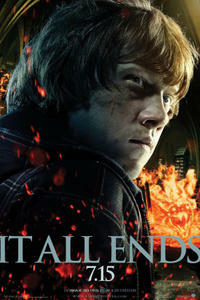 Rupert Grint as Ron Weasley and Emma Watson as Hermione Granger in "Harry Potter and The Deathly Hallows: Part 2." 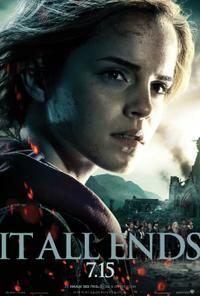 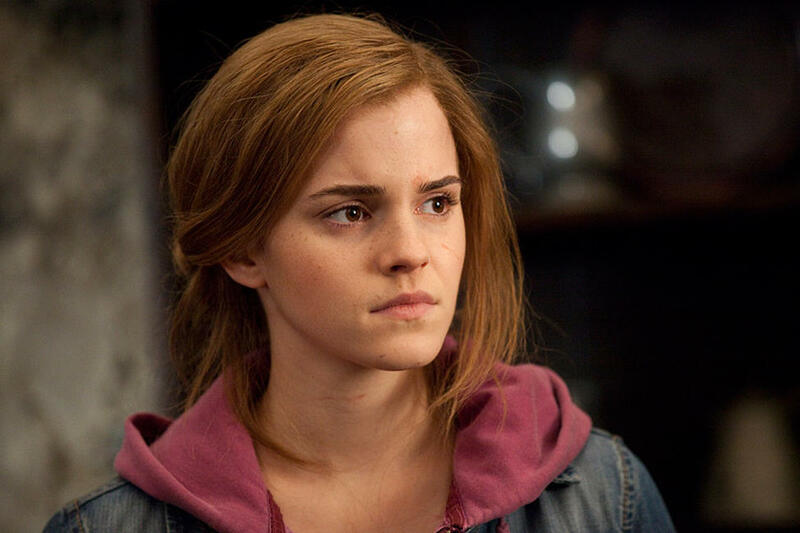 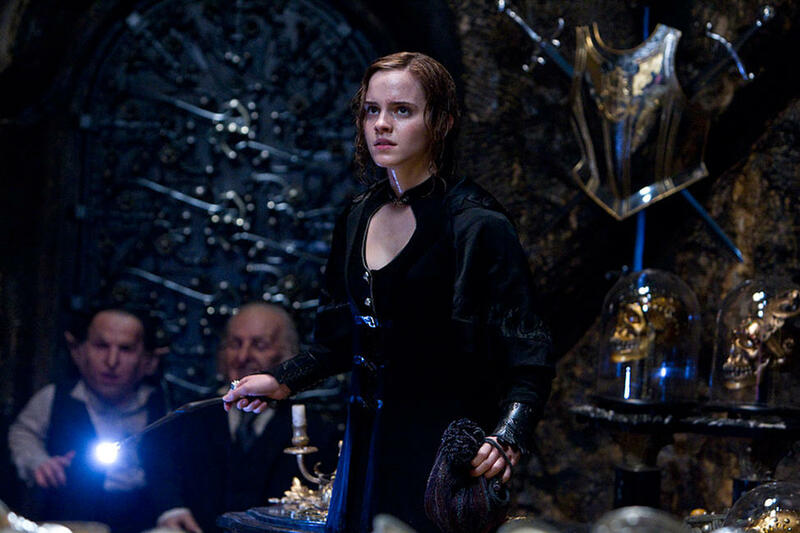 Emma Watson as Hermione Granger in "Harry Potter and The Deathly Hallows: Part 2." 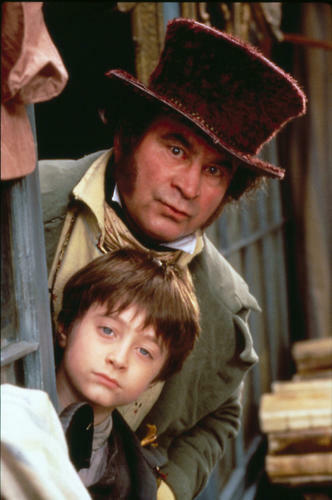 Daniel Radcliffe as Harry Potter and Warwick Davis as Griphook in "Harry Potter and The Deathly Hallows: Part 2." 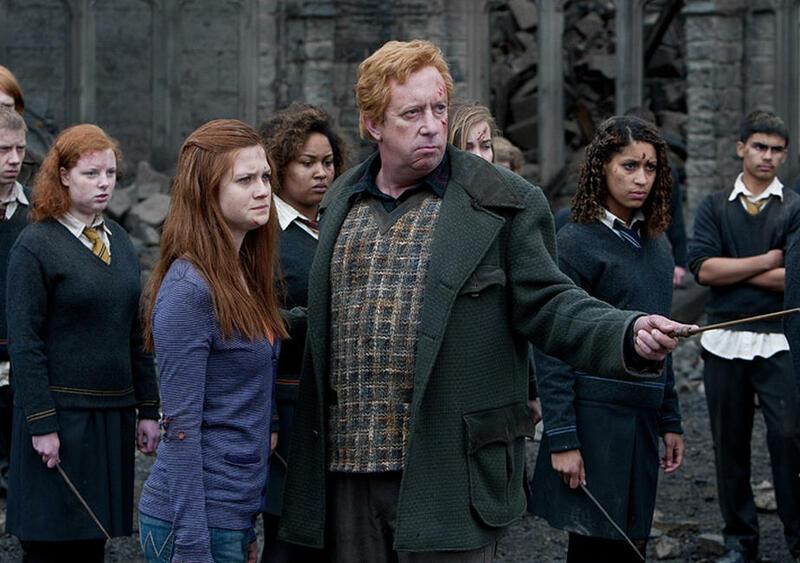 Bonnie Wright as Ginny Weasley and Mark Williams as Arthur Weasley in "Harry Potter and The Deathly Hallows: Part 2." 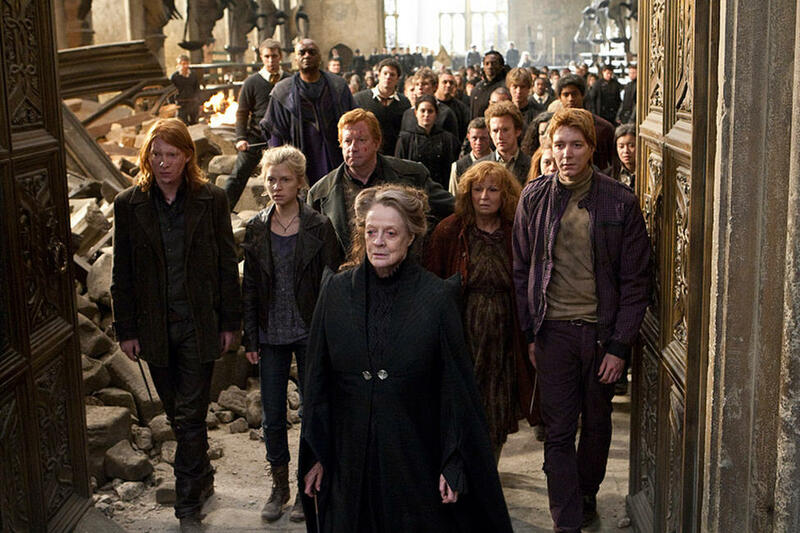 Domhnall Gleeson as Bill Weasley, Clemence Poesy as Fleur Delacour, Mark Williams as Arthur Weasley, Maggie Smith as Professor Minerva Mcgonagall, Julie Walters as Molly Weasley and Oliver Phelps as George Weasley in "Harry Potter and The Deathly Hallows: Part 2." 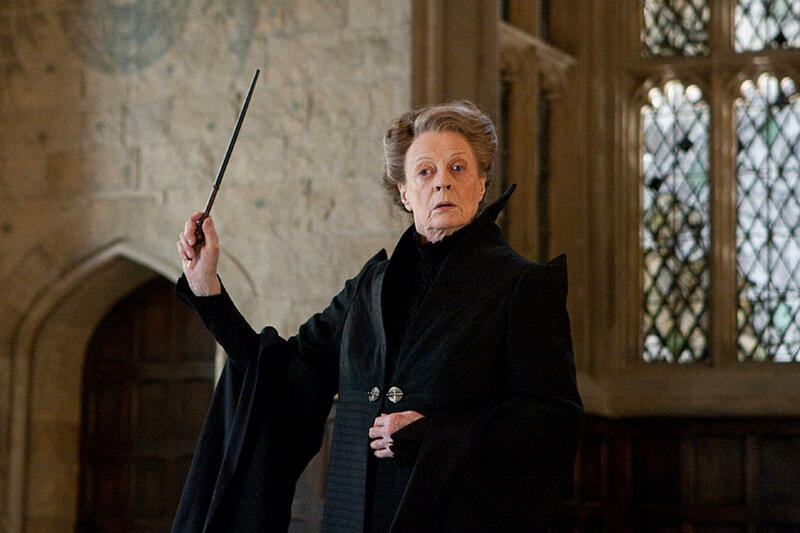 Maggie Smith as Professor Minerva Mcgonagall in "Harry Potter and The Deathly Hallows: Part 2." 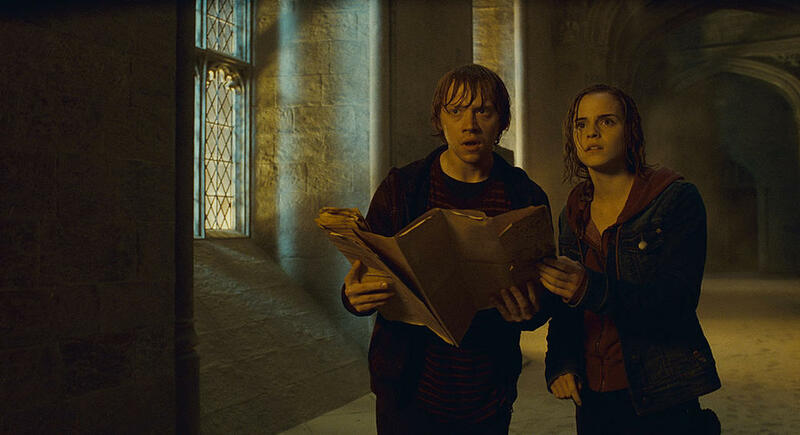 Emma Watson as Hermione Granger and Rupert Grint as Ron Weasley in "Harry Potter and The Deathly Hallows: Part 2." 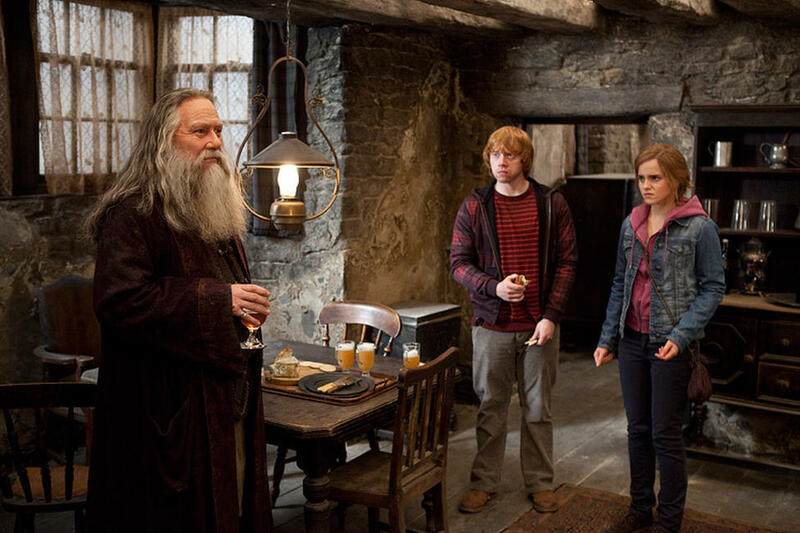 Ciaran Hinds as Aberforth Dumbledore, Rupert Grint as Ron Weasley and Emma Watson as Hermione Granger in "Harry Potter and The Deathly Hallows: Part 2." 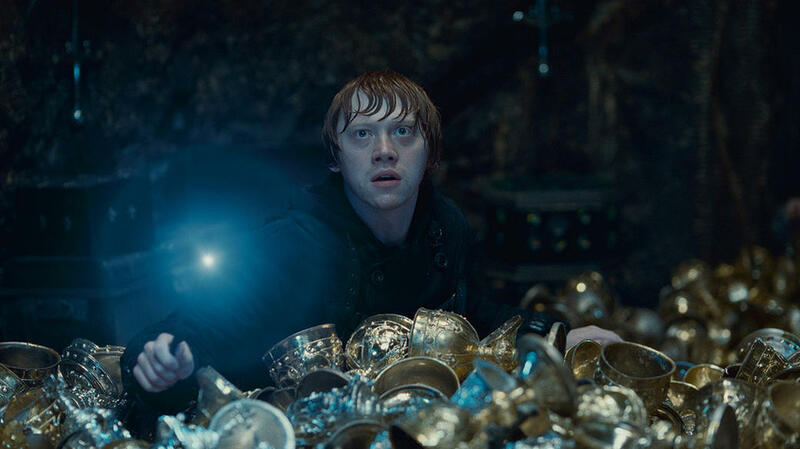 James Phelps as Fred Weasley, Rupert Grint as Ron Weasley, Chris Rankin as Percy Weasley, Emma Watson as Hermione Granger, Julie Walters as Molly Weasley and George Harris as Kingsley Shacklebolt in "Harry Potter and The Deathly Hallows: Part 2." 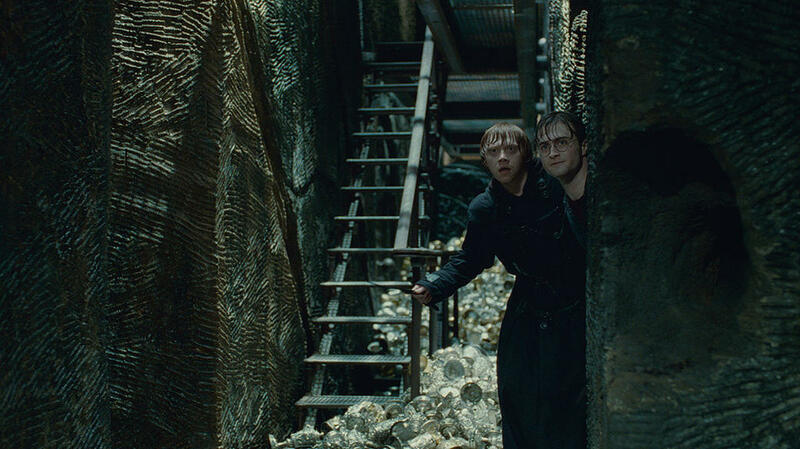 Rupert Grint as Ron Weasley and Daniel Radcliffe as Harry Potter in "Harry Potter and The Deathly Hallows: Part 2." 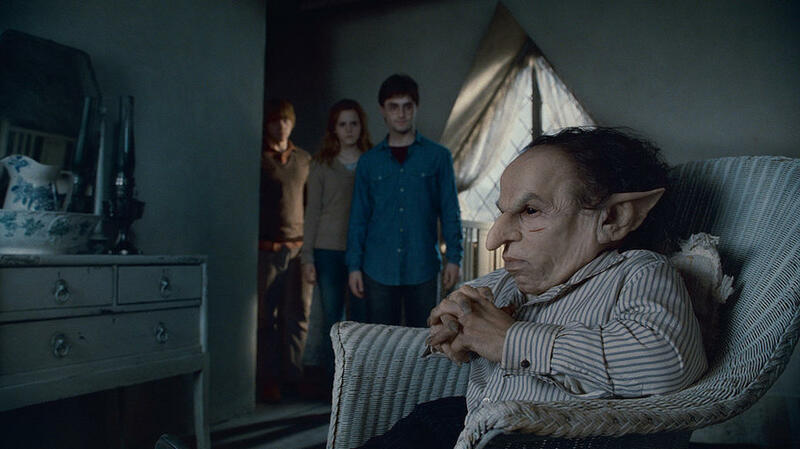 Warwick Davis as Griphook, Jon Key as Bogrod and Emma Watson as Hermione Granger in "Harry Potter and The Deathly Hallows: Part 2." 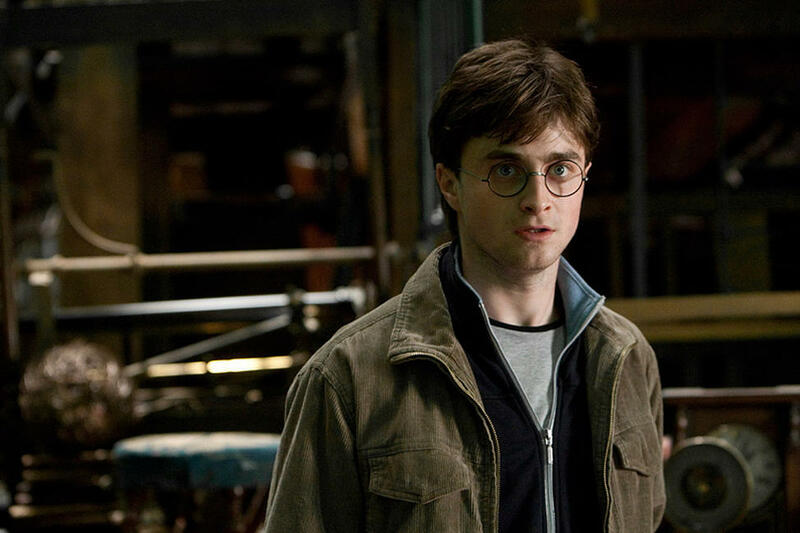 Daniel Radcliffe as Harry Potter and Evanna Lynch as Luna Lovegood in "Harry Potter and The Deathly Hallows: Part 2." 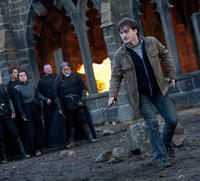 Daniel Radcliffe as Harry Potter and Emma Watson as Hermione Granger in "Harry Potter and The Deathly Hallows: Part 2." 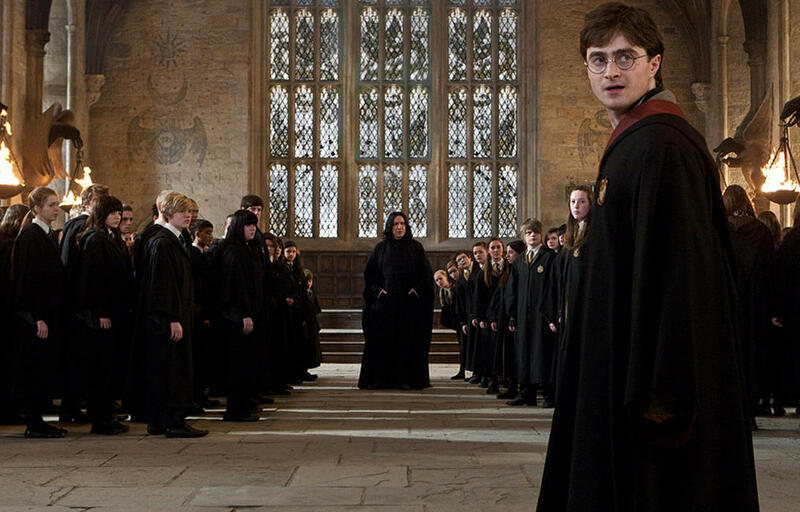 Alan Rickman as Professor Severus Snape and Daniel Radcliffe as Harry Potter in "Harry Potter and The Deathly Hallows: Part 2." 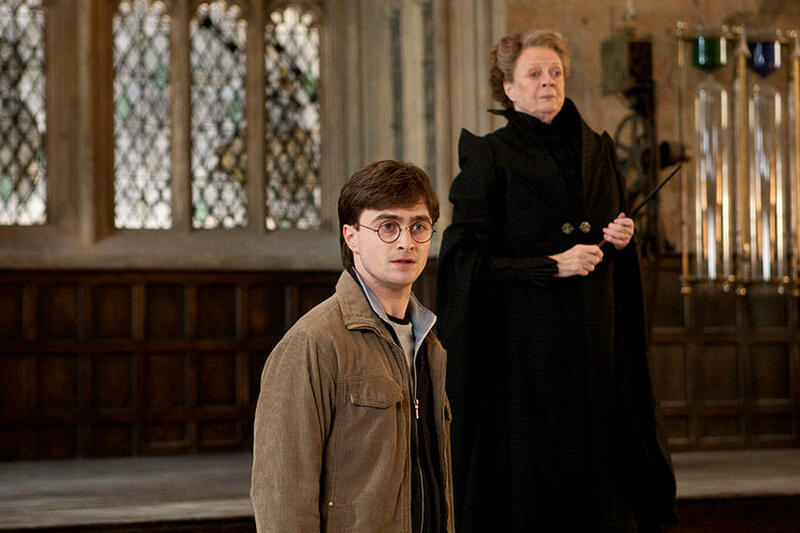 Daniel Radcliffe as Harry Potter and Maggie Smith as Professor Minerva Mcgonagall in "Harry Potter and The Deathly Hallows: Part 2." 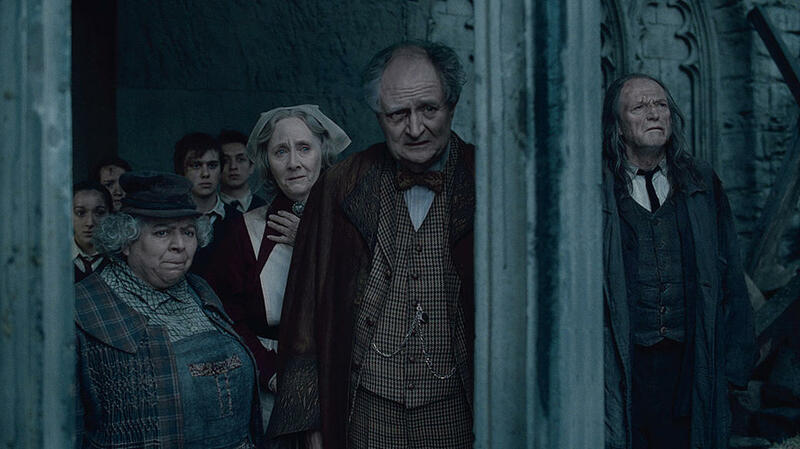 Miriam Margolyes as Professor Pomona Sprout, Gemma Jones as Madam Pomfrey, Jim Broadbent as Professor Horace Slughorn and David Bradley as Argus Filch in "Harry Potter and The Deathly Hallows: Part 2." 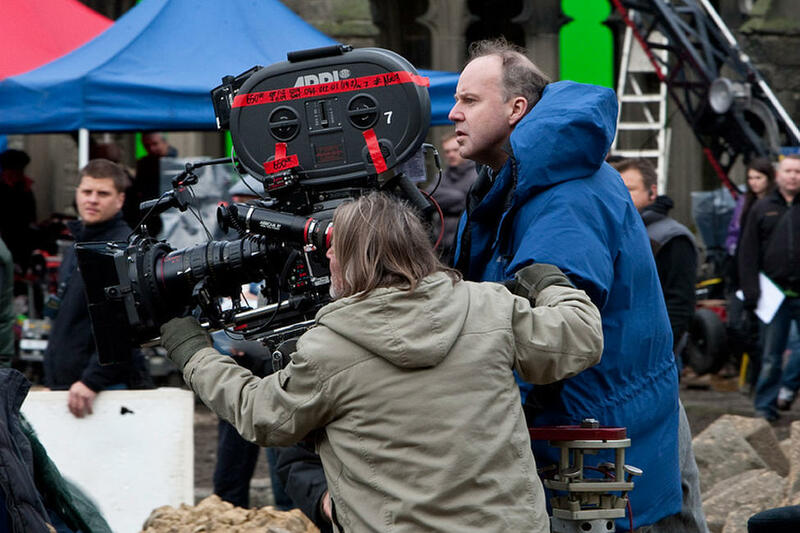 Director David Yates on the set of "Harry Potter and The Deathly Hallows: Part 2." 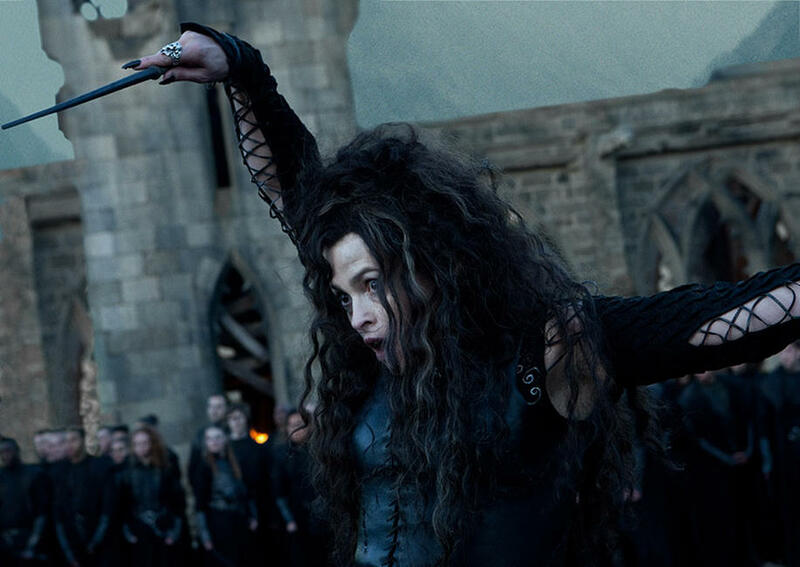 Helena Bonham Carter as Bellatrix Lestrange in "Harry Potter and The Deathly Hallows: Part 2." 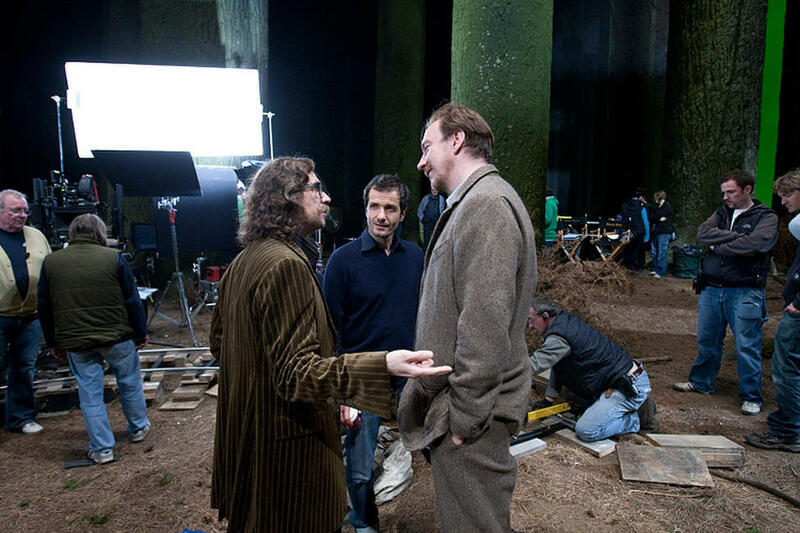 Gary Oldman, Producer David Heyman and David Thewlis on the set of "Harry Potter and The Deathly Hallows: Part 2." 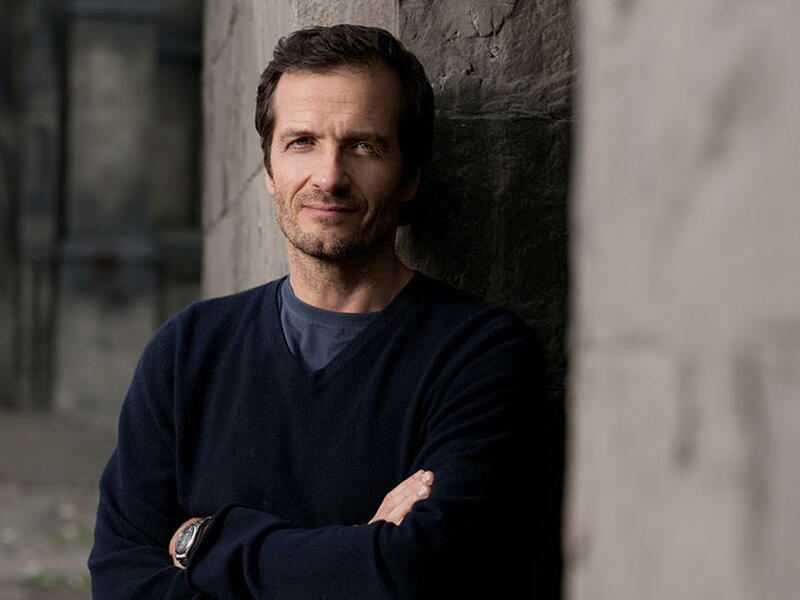 Producer David Heyman on the set of "Harry Potter and The Deathly Hallows: Part 2." 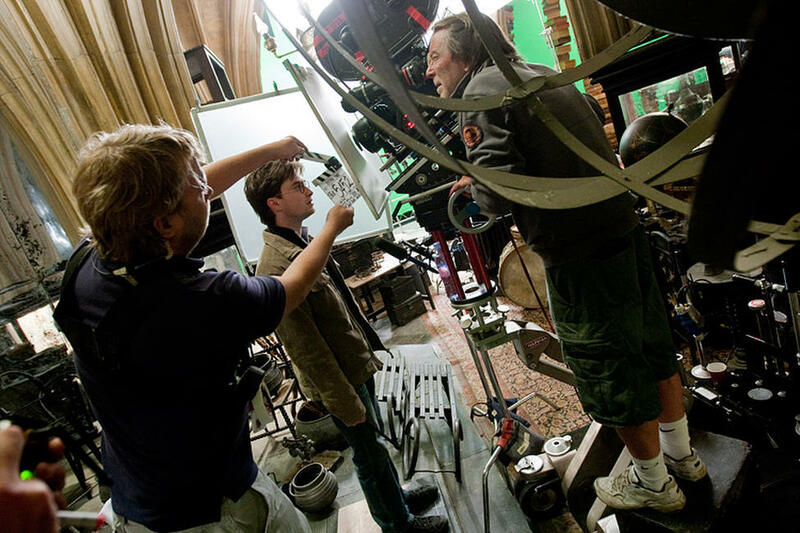 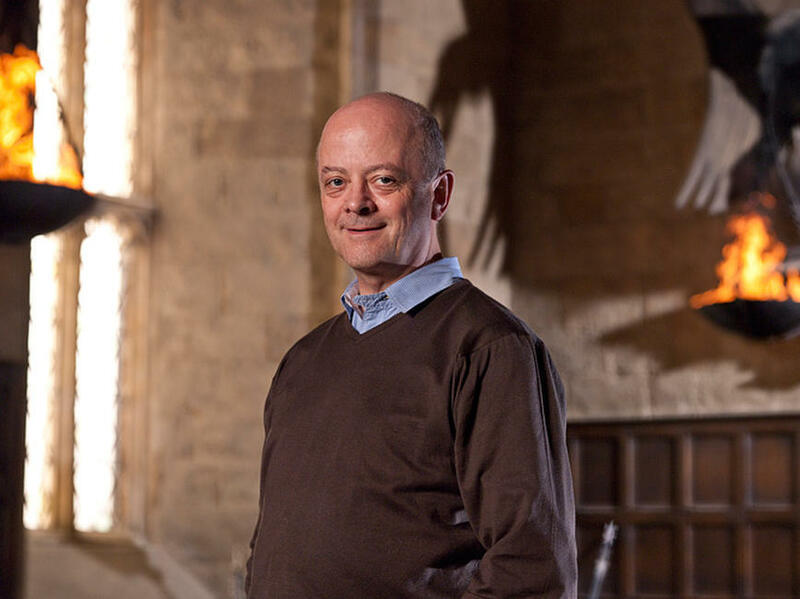 Producer David Barron on the set of "Harry Potter and The Deathly Hallows: Part 2." 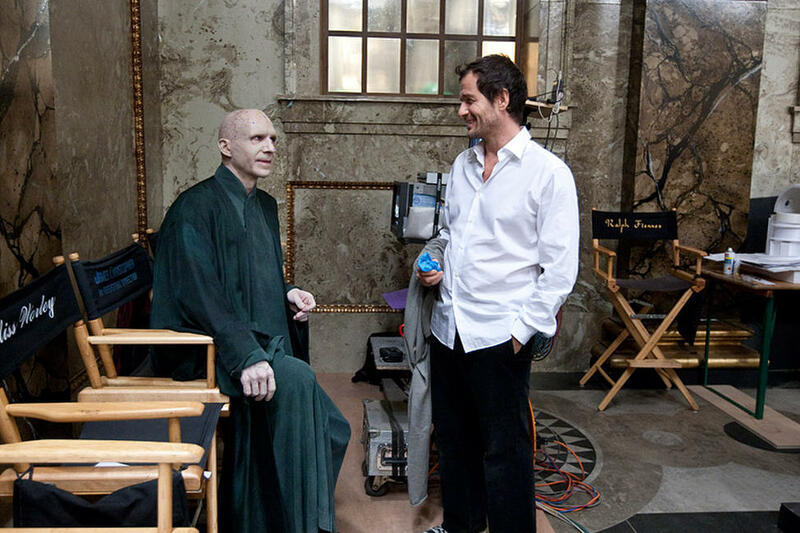 Ralph Fiennes and Producer David Heyman on the set of "Harry Potter and The Deathly Hallows: Part 2." 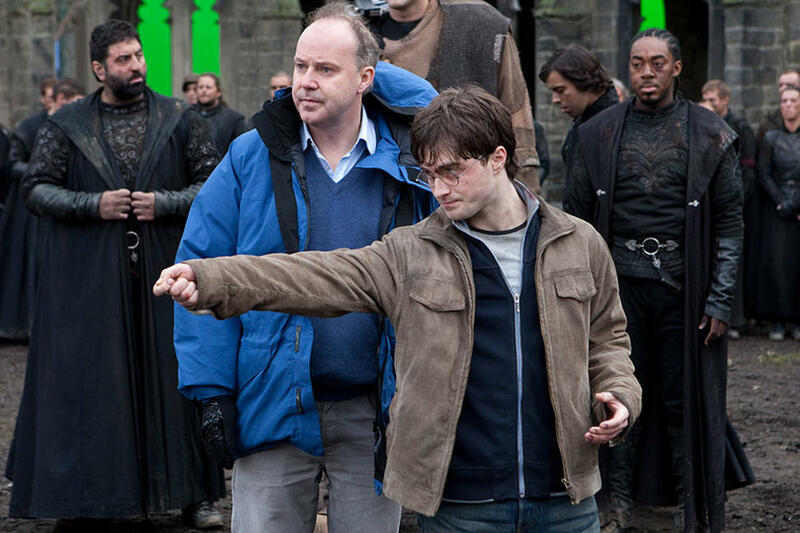 Director David Yates and Daniel Radcliffe on the set of "Harry Potter and The Deathly Hallows: Part 2." 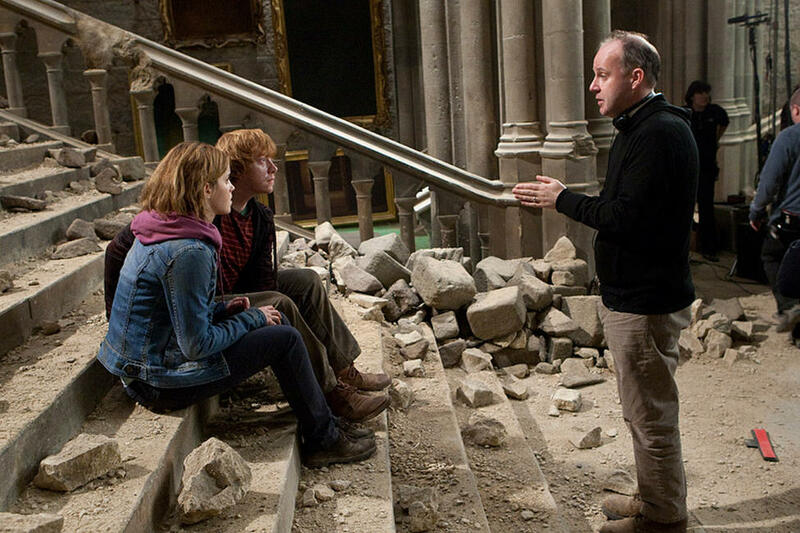 Emma Watson, Rupert Grint and Director David Yates on the set of "Harry Potter and The Deathly Hallows: Part 2." 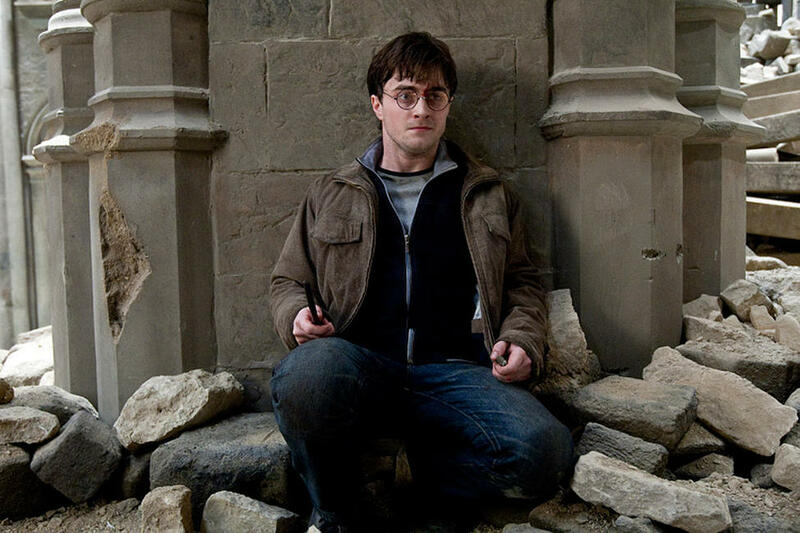 Daniel Radcliffe on the set of "Harry Potter and The Deathly Hallows: Part 2." 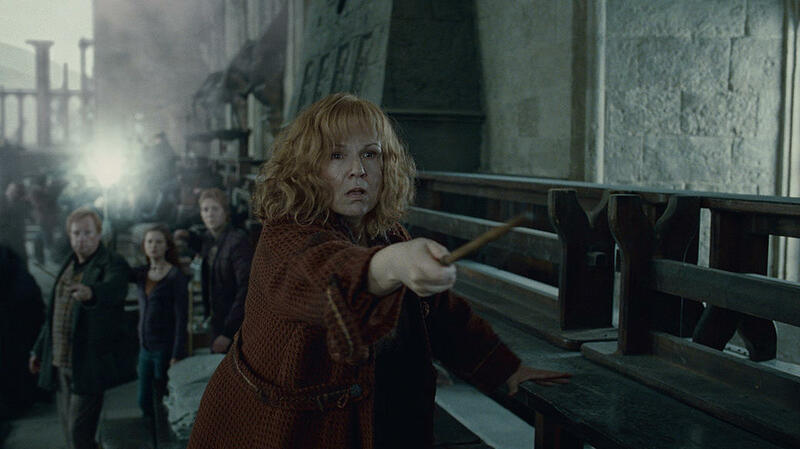 Julie Walters as Molly Weasley in "Harry Potter and The Deathly Hallows: Part 2." 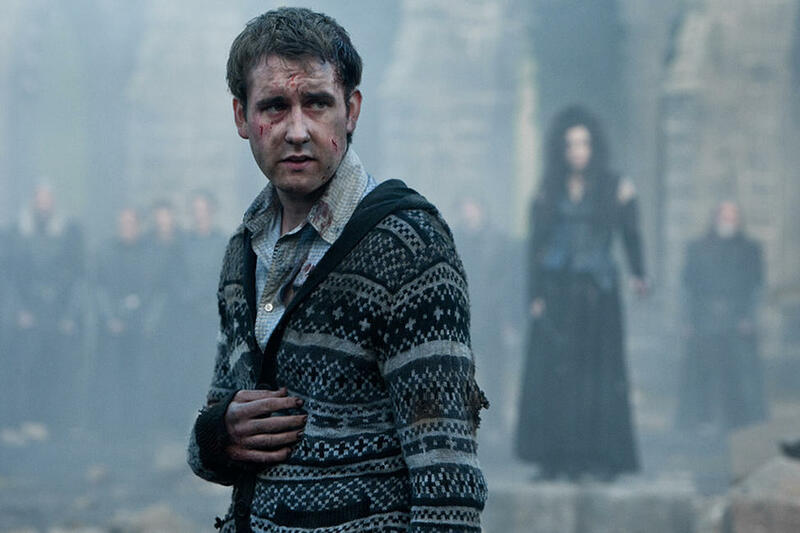 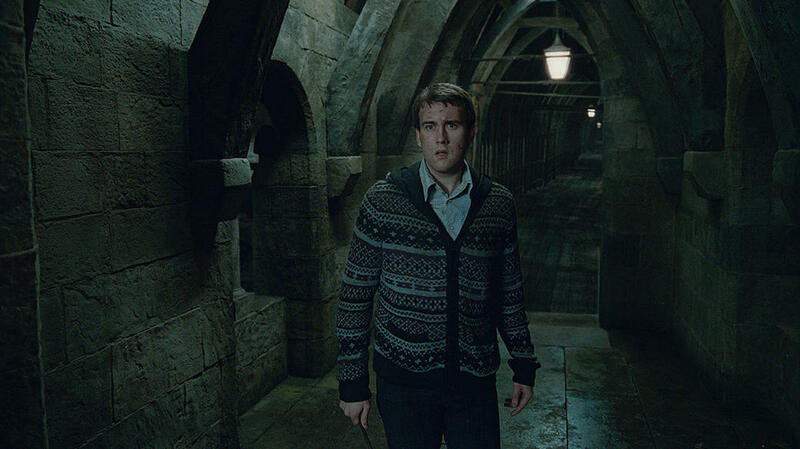 Matthew Lewis as Neville Longbottom in "Harry Potter and The Deathly Hallows: Part 2." 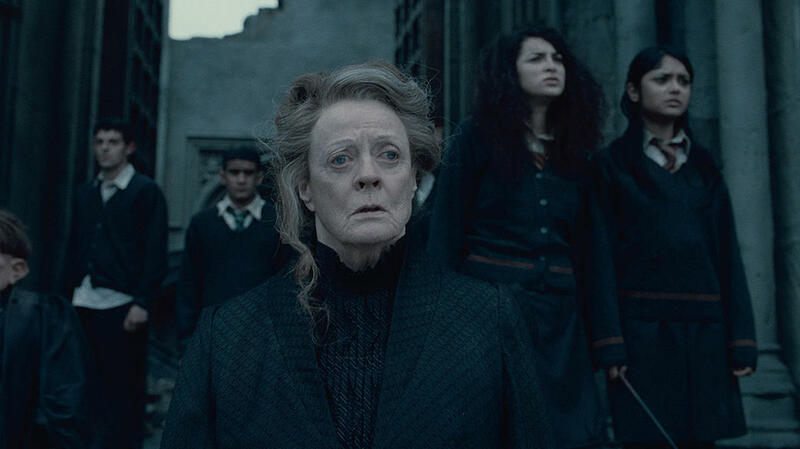 Maggie Smith as Professor Minerva Mcgonagall and Julie Walters as Molly Weasley in "Harry Potter and The Deathly Hallows: Part 2." 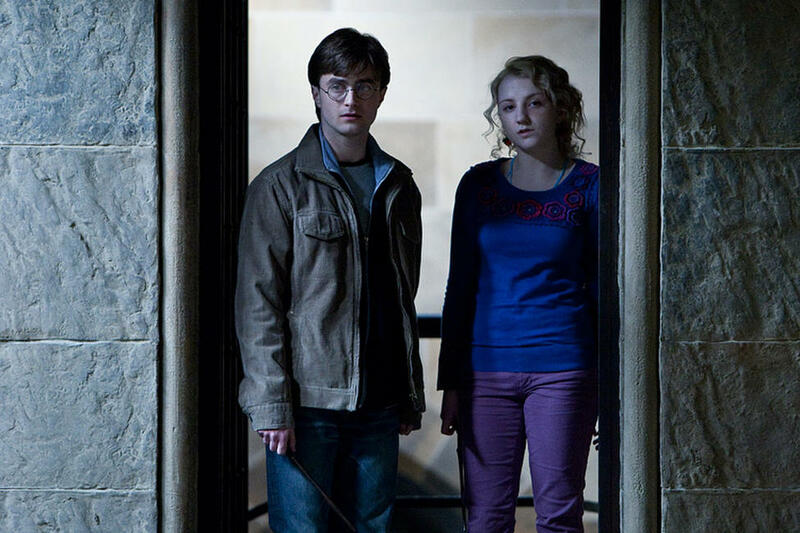 Evanna Lynch as Luna Lovegood in "Harry Potter and The Deathly Hallows: Part 2." 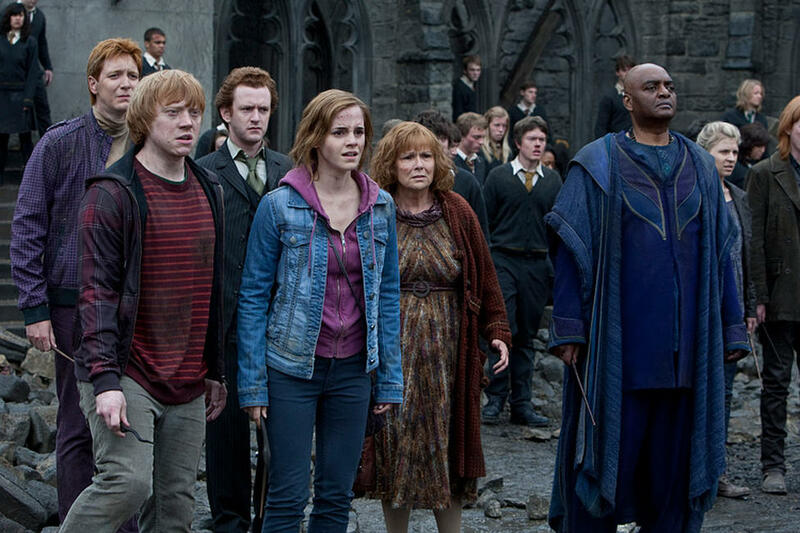 Julie Walters as Molly Weasley and Maggie Smith as Professor Minerva Mcgonagall in "Harry Potter and The Deathly Hallows: Part 2." 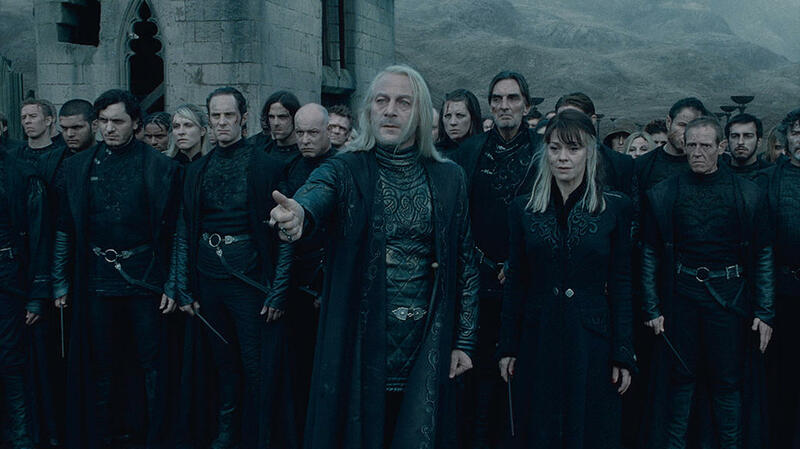 Jason Isaacs as Lucius Malfoy and Helen Mccrory as Narcissa Malfoy in "Harry Potter and The Deathly Hallows: Part 2." 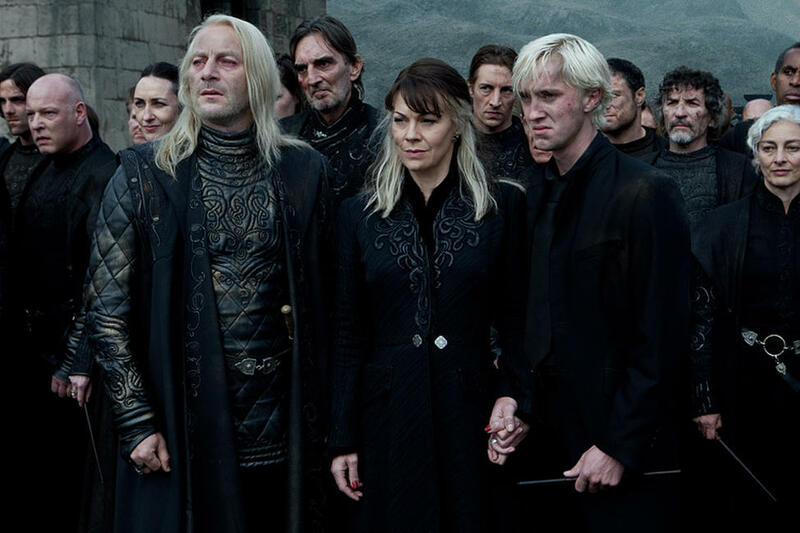 Jason Isaacs as Lucius Malfoy and Helen Mccrory as Narcissa Malfoy and Tom Felton as Draco Malfoy in "Harry Potter and The Deathly Hallows: Part 2." 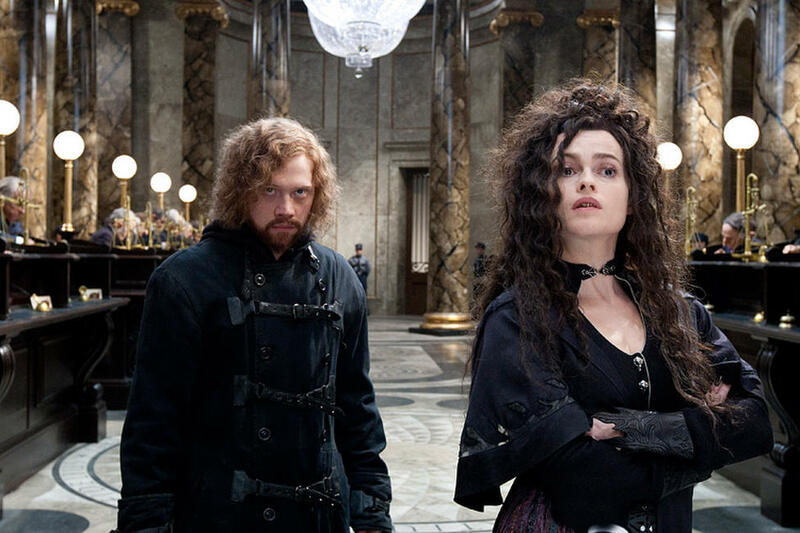 Rupert Grint as Ron Weasley and Helena Bonham Carter as Bellatrix Lestrange in "Harry Potter and The Deathly Hallows: Part 2." 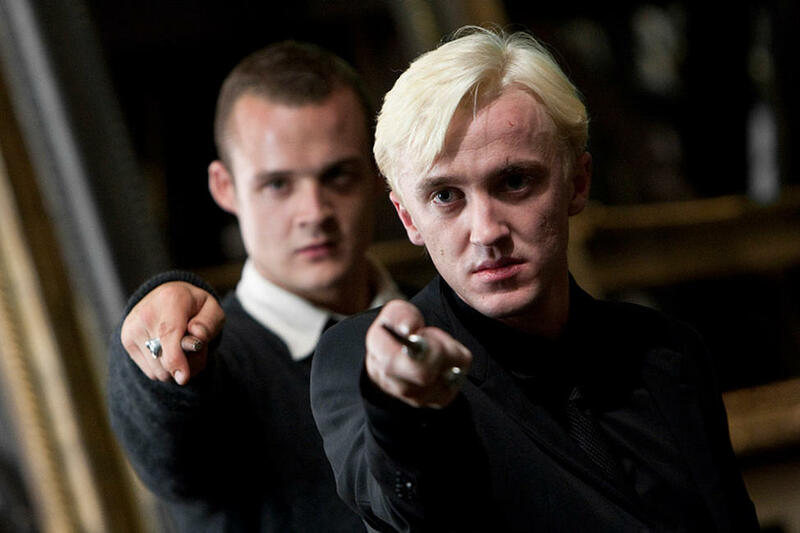 Josh Herdman as Gregory Goyle and Tom Felton as Draco Malfoy in "Harry Potter and The Deathly Hallows: Part 2." Ralph Fiennes as Lord Voldemort and Matthew Lewis as Neville Longbottom in "Harry Potter and The Deathly Hallows: Part 2." Rupert Grint as Ron Weasley, Emma Watson as Hermione Granger, Daniel Radcliffe as Harry Potter and Warwick Davis as Griphook in "Harry Potter and The Deathly Hallows: Part 2." 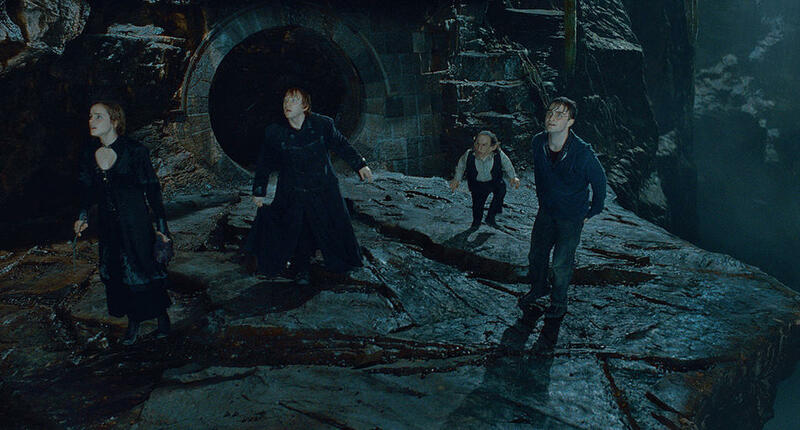 Emma Watson as Hermione Granger, Rupert Grint as Ron Weasley, Warwick Davis as Griphook and Daniel Radcliffe as Harry Potter in "Harry Potter and The Deathly Hallows: Part 2." 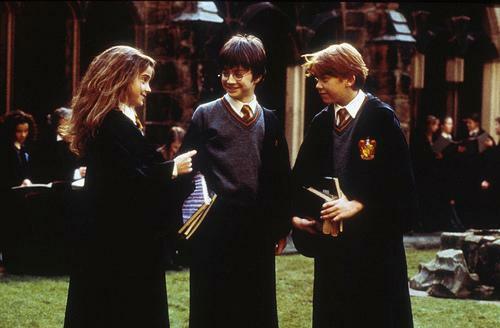 Emma Watson as Hermione Granger, Rupert Grint as Ron Weasley and Daniel Radcliffe as Harry Potter in "Harry Potter and The Deathly Hallows: Part 2." 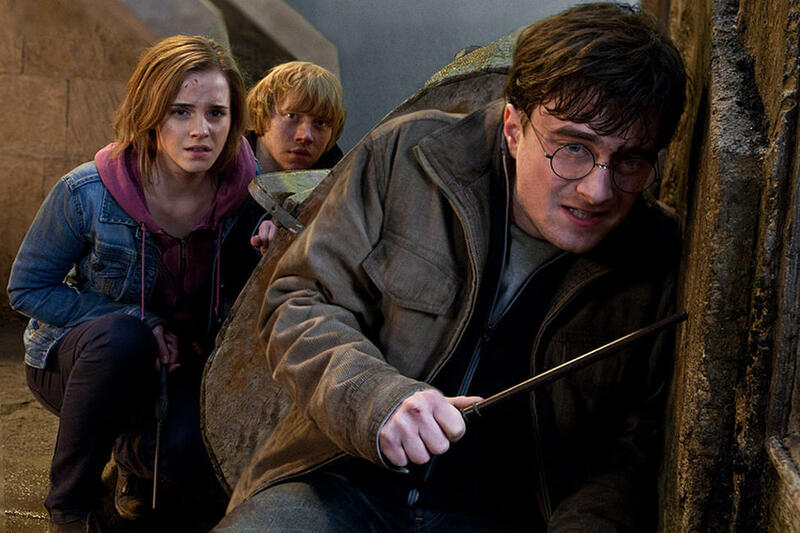 Daniel Radcliffe as Harry Potter, Rupert Grint as Ron Weasley and Emma Watson as Hermione Granger in "Harry Potter and The Deathly Hallows: Part 2." 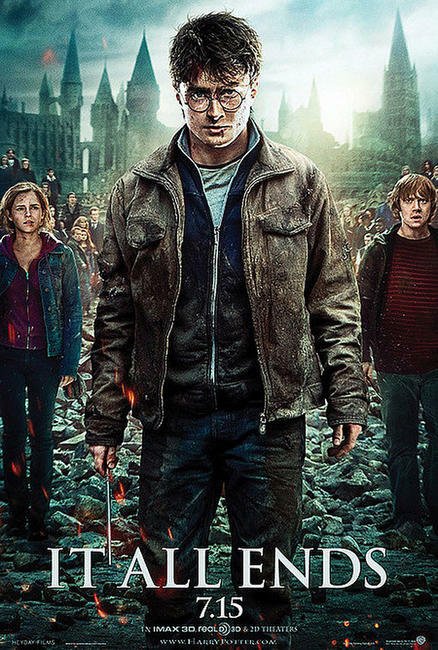 Daniel Radcliffe as Harry Potter, Rupert Grint as Ron Weasley, Warwick Davis as Griphook, Jon Key as Bogrod and Emma Watson as Hermione Granger in "Harry Potter and The Deathly Hallows: Part 2." 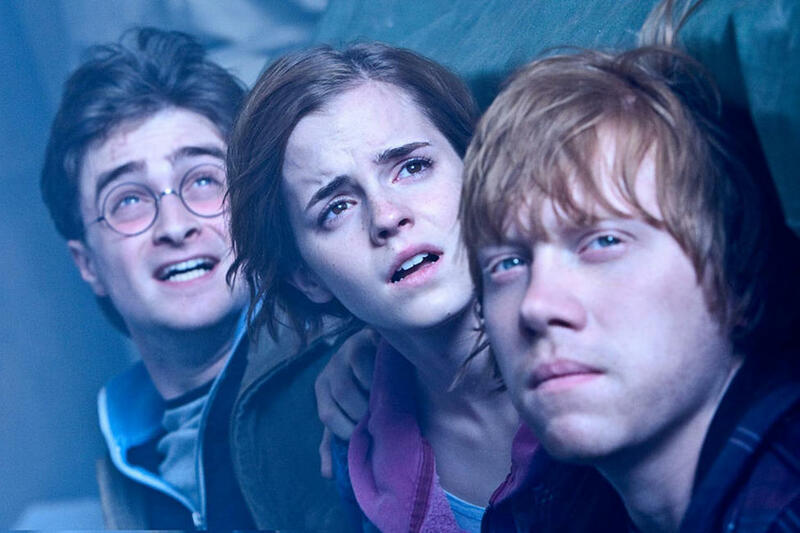 Emma Watson as Hermione Granger, Daniel Radcliffe as Harry Potter and Rupert Grint as Ron Weasley in "Harry Potter and The Deathly Hallows: Part 2." 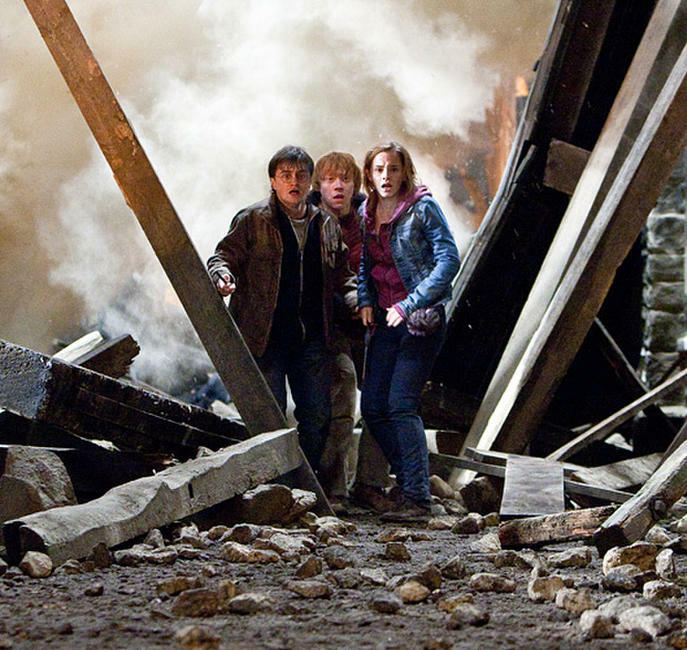 Rupert Grint as Ron Weasley, Emma Watson as Hermione Granger and Daniel Radcliffe as Harry Potter in "Harry Potter and The Deathly Hallows: Part 2." 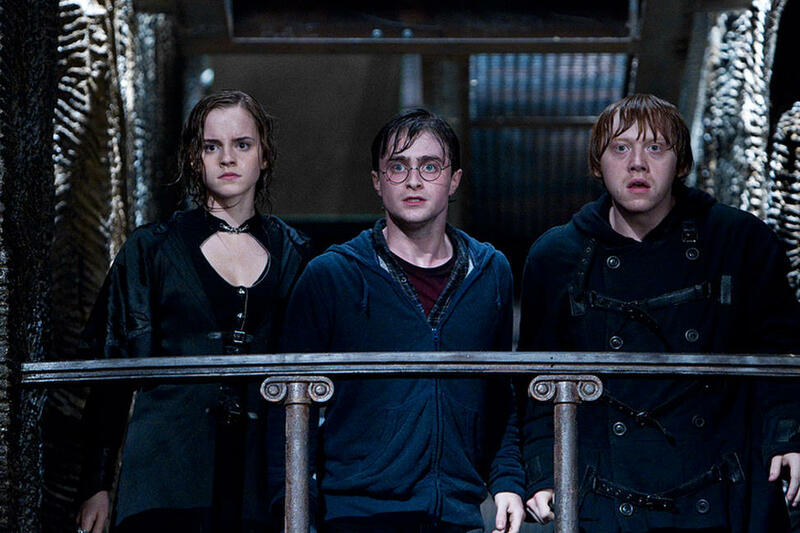 Rupert Grint as Ron Weasley, Daniel Radcliffe as Harry Potter, Emma Watson as Hermione Granger and Matthew Lewis as Neville Longbottom in "Harry Potter and The Deathly Hallows: Part 2." 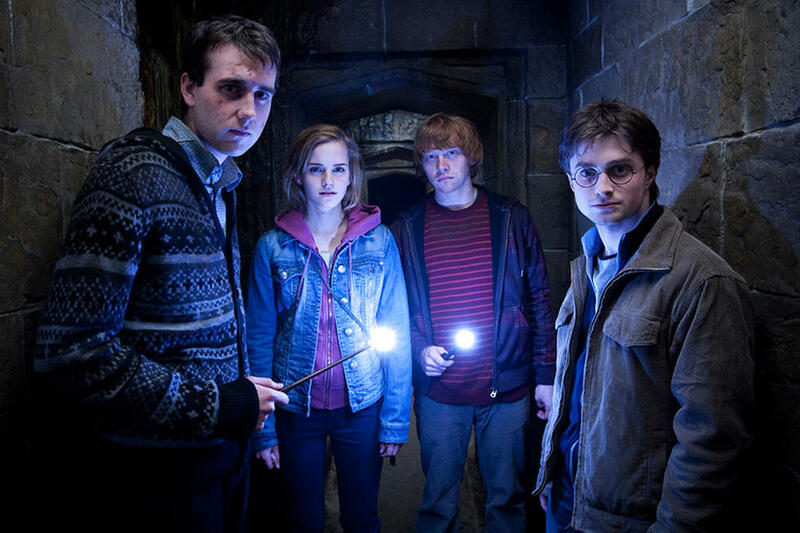 Matthew Lewis as Neville Longbottom, Emma Watson as Hermione Granger, Rupert Grint as Ron Weasley and Daniel Radcliffe as Harry Potter in "Harry Potter and The Deathly Hallows: Part 2." 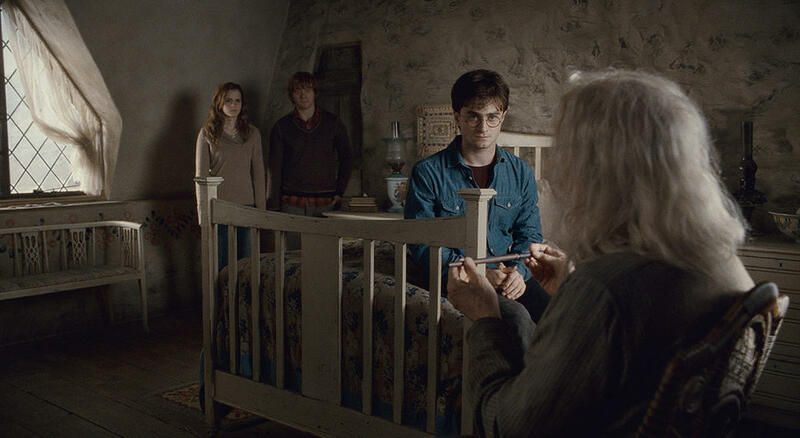 Emma Watson as Hermione Granger, Rupert Grint as Ron Weasley, Daniel Radcliffe as Harry Potter and John Hurt as Ollivander in "Harry Potter and The Deathly Hallows: Part 2." 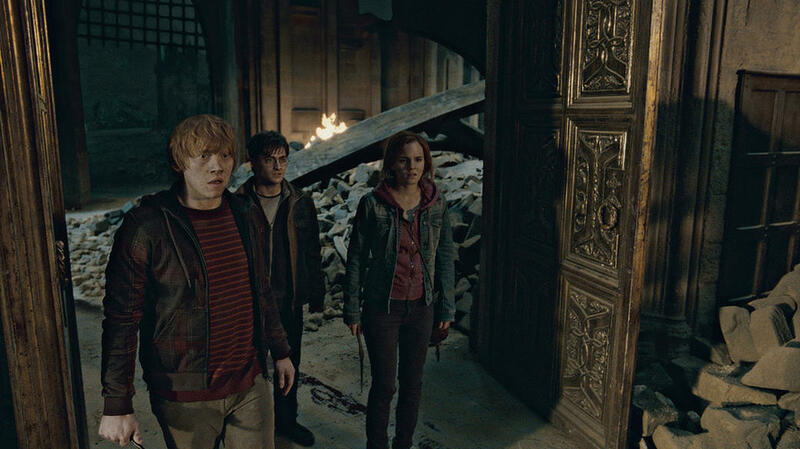 Rupert Grint as Ron Weasley, Daniel Radcliffe as Harry Potter and Emma Watson as Hermione Granger in "Harry Potter and The Deathly Hallows: Part 2." 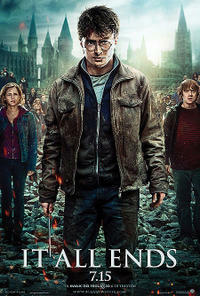 Poster Art for "Harry Potter and the Deathly Hallows: Part 2." 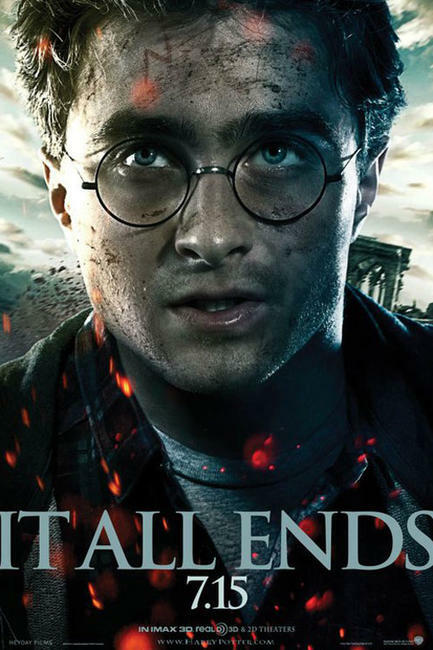 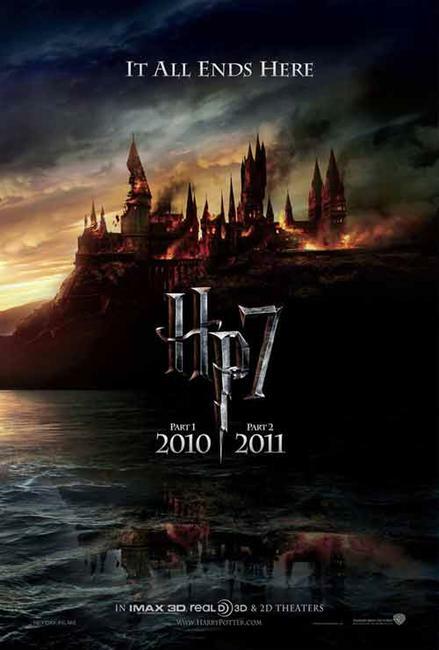 Poster art for "Harry Potter and the Deathly Hallows: Part II." Character poster art for "Harry Potter and the Deathly Hallows: Part 2."